Spacious, well taken care villa with the pool and outstanding green garden in suburbs of Kyrenia - Karsiyaka. 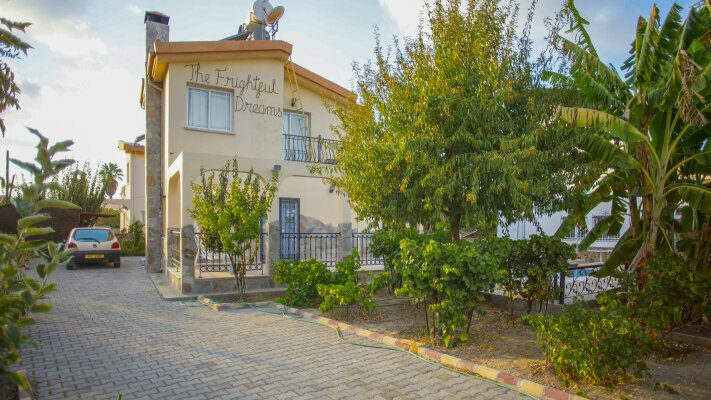 3 minutes to the sea and 15-20 minutes to the city center of Kyrenia. The villa is fully furnished with an exeption of personal belongings and some decorative items in the living room.